The present chapter is, I confess, advocacy, barefaced and unashamed. I am seeking to make good the claim that the Puritans can teach us lessons that we badly need to learn. Let me pursue my line of argument a little further. It must by now be apparent that the great Puritan pastor-theologians – Owen, Baxter, Goodwin, Howe, Perkins, Sibbes, Brooks, Watson, Gurnall, Flavel, Bunyan, Manton, and others like them – were men of outstanding intellectual power, as well as spiritual insight. In them mental habits fostered by sober scholarship were linked with a flaming zeal for God and a minute acquaintance with the human heart. All their work displays this unique fusion of gifts and graces. In thought and outlook they were radically God-centered. Their appreciation of God’s sovereign majesty was profound, and their reverence in handling his written word was deep and constant. They were patient, thorough, and methodical in searching the Scriptures, and their grasp of the various threads and linkages in the web of revealed truth was firm and clear. They understood most richly the ways of God with men, the glory of Christ the Mediator, and the work of the Spirit in the believer and the church. And their knowledge was no mere theoretical orthodoxy. They sought to ‘reduce to practice’ (their own phrase) all that God taught them. They yoked their consciences to his word, disciplining themselves to bring all activities under the scrutiny of Scripture, and to demand a theological, as distinct from a merely pragmatic, justification for everything that they did. They applied their understanding of the mind of God to every branch of life, seeing the church, the family, the state, the arts and sciences, the world of commerce and industry, no less than the devotions of the individual, as so many spheres in which God must be served and honoured. They saw life whole, for they saw its Creator as Lord of each department of it, and their purpose was that ‘holiness to the Lord’ might be written over it in its entirety. Nor as this all. Knowing God, the Puritans also knew man. They saw him as in origin a noble being, made in God’s image to rule God’s earth, but now tragically brutified and brutalised by sin. They viewed sin in the triple light of God’s law, Lordship, and holiness, and so saw it as transgression and guilt, as rebellion and usurpation, and as uncleanness, corruption, and inability for good. Seeing this, and knowing the ways whereby the Spirit brings sinners to faith and new life in Christ, and leads saints, on the one hand to grow into their Savior’s image, and, on the other, to learn their total dependence on grace, the great Puritans became superb pastors. The depth and unction of the ‘practical and experimental’ expositions in the pulpit was no more outstanding than was their skill in the study of applying spiritual physic to sick souls. From Scripture they mapped the often bewildering terrain of the life of faith and fellowship with God with great thoroughness (see Pilgrim’s Progress1 for a pictorial gazetteer), and their acuteness and wisdom in diagnosing spiritual malaise and setting out the appropriate biblical remedies was outstanding. They remain the classic pastors of Protestantism, just as men like Whitefield and Spurgeon stand as its classic evangelists. Now it is here, on the pastoral front, that today’s evangelical Christians most need help. Our numbers, it seems, have increased in recent years, and a new interest in the old paths of evangelical theology has grown. For this we should thank God. But not all evangelical zeal is according to knowledge, nor do the virtues and values of the biblical Christian life always come together as they should, and three groups in particular in today’s evangelical world seem very obviously to need help of a kind that Puritans, as we meet them in their writings, are uniquely qualified to give. These I call restless experientialists, entrenched intellectualists, and disaffected deviationists. They are not, of course, organised bodies of opinion, but individual persons with characteristic mentalities that one meets over and over again. Take them, now, in order. Those whom I call ‘restless experientialsts’ are a familiar breed, so much so that observers are sometimes tempted to define evangelicalism in terms of them. Their outlook is one of casual haphazardness and fretful impatience, of grasping after novelties, entertainments, and ‘highs’, and of valuing strong feelings above deep thoughts. They have little taste for solid study, humble self-examination, disciplined meditation, and unspectacular hard work in their callings and their prayers. They conceive the Christian life as one of exciting extraordinary experiences rather than of resolute rational righteousness. They dwell continually on the themes of joy, peace, happiness, satisfaction and rest of souls with no balancing reference to the divine discontent of Romans 7, the fight of faith of Psalm 73, or the ‘lows’ of Psalms 42, 88, and 102. Through their influence the spontaneous jollity of the simple extrovert comes to be equated with healthy Christian living, while saints of less sanguine and more complex temperament get driven almost to distraction because they cannot bubble over in the prescribed manner. In her restlessness these exuberant ones become uncritically credulous, reasoning that the more odd and striking an experience the more divine, supernatural, and spiritual it must be, and they scarcely give the scriptural virtue of steadiness a thought. It is no counter to these defects to appeal to the specialised counselling techniques that extrovert evangelicals have developed for pastoral purposes in recent years; for spiritual life is fostered, and spiritual maturity engendered, not by techniques but by truth, and if our techniques have been formed in terms of a defective notion of the truth to be conveyed and the goal to be aimed at, they cannot make us better pastors or better believers than we were before. The reason why the restless experientialists are lopsided is that they have fallen victim to a form of worldliness, a man-centred, anti-rational individualism, which turns Christian life into a thrill-seeking ego-trip. Such saints need the sort of maturing ministry in which the Puritan tradition has specialised. What Puritan emphases can establish and settle restless experientialists? These, to start with. First, the stress on God-centredness as a divine requirement that is central to the discipline of self-denial. Second, the insistence on the primacy of the mind, and on the impossibility of obeying biblical truth that one has not yet understood. Third, the demand for humility, patience, and steadiness at all times, and for an acknowledgement that Holy Spirit’s main ministry is not to give thrills but to create in us Christlike character. Fourth, the recognition that feelings go up and down, and that God frequently tries us by leading us through wastes of emotional flatness. Fifth, the singling out of worship as life’s primary activity. Sixth, the stress on our need of regular self-examination by Scripture, in terms set by Psalm 139:23-24. Seventh, the realization that sanctified suffering bulks large in God’s plan for his children’s growth in grace. No Christian tradition of teaching administers this purging and strengthening medicine with more masterful authority than does that of the Puritans, whose own dispensing of it nurtured a marvelously strong and resilient type of Christian for a century and more, as we have seen. Think now of entrenched intellectualists in the evangelical world: a second familiar breed, though not so common as the previous type. Some of them seem to be victims of an insecure temperament and inferiority feelings, others to be reacting out of pride or pain against the zaniness of experientialism as they have perceived it, but whatever the source of their syndrome the behaviour-pattern in which they express it is distinctive and characteristic. Constantly they present themselves as rigid, argumentative, critical Christians, champions of God’s truth for whom orthodoxy is all. Upholding and defending their own view of that truth, whether Calvinist or Arminian, dispensational or Pentecostal, national church reformist or Free Church separatist, or whatever it might be, is their leading interest, and they invest themselves unstintingly in this task. There is little warmth about them; relationally they are remote; experiences do not mean much to them; winning the battle for mental correctness is their one great purpose. They see, truly enough, that in our anti-rational, feeling-oriented, instant-gratification culture conceptual knowledge of divine things is undervalued, and they seek with passion to right the balance at this point. They understand the priority of the intellect well; the trouble is that intellectualism, expressing itself in endless campaigns for their own brand of right thinking, is almost if not quite all that they can offer, for it is almost if not quite all that they have. They too, so I urge, need exposure to the Puritan heritage for their maturing. That last statement might sound paradoxical, since it will not have escaped the reader that the above profile corresponds to what many still suppose the typical Puritan to have been. But when we ask what emphases Puritan tradition contains to counter arid intellectualism, a whole series of points springs to view. First, true religion claims the affections as well as the intellect; it is essentially, in Richard Baxter’s phrase, ‘heart-work’. Second, theological truth is for practice. William Perkins defined theology as ‘the science of living blessedly for ever’; William Ames called it ‘the science of living to God’. Third, conceptual knowledge kills if one does not move on from knowing notions to knowing the realities to which they refer – in this case, from knowing about God to a relational acquaintance with God himself. Fourth, faith and repentance, issuing in a life of love and holiness, that is, of gratitude expressed in goodwill and good works, are explicitly called for in the gospel. Fifth, the Spirit is given to lead us into close companionship with others in Christ. Sixth, the discipline of discursive meditation is meant to keep us ardent and adoring in our love affair with God. Seventh, it is ungodly and scandalous to become a firebrand and cause division in the church, and it is ordinarily nothing more reputable than spiritual pride in its intellectual form that leads men to create parties and splits. The great Puritans were as humble-minded and warm-hearted they were clear-headed, as fully oriented to people as they were to Scripture, and as passionate for peace as they were for truth. They would certainly have diagnosed today’s fixated Christian intellectualists as spiritually stunted, not in their zeal for the form of sound words but in their lack of zeal for anything else; and the thrust of Puritan teaching about God’s truth in man’s life is still potent to ripen such souls into whole and mature human beings. I turn finally to those whom I call disaffected deviationists, the casualties and dropouts of the modern evangelical movement, many of whom have now turned against it to denounce it as a neurotic perversion of Christianity. Here, too, is a breed that we know all too well. It is distressing to think of these folk, both because their experience to date discredits our evangelicalism so deeply and also because there are so many of them. Who are they? They are people who once saw themselves as evangelicals, either from being evangelically nurtured or from coming to profess conversion with the evangelical sphere of influence, but who have become disillusioned about the evangelical point of view and have turned their back on it, feeling that it let them down. Some leave it for intellectual reasons, judging that what was taught them was so simplistic as to stifle their minds and so unrealistic and out of touch with facts as to be really if unintentionally dishonest. Others leave because they were led to expect that as Christians they would enjoy health, wealth, trouble-free circumstances, immunity from relational hurts, betrayals, and failures, and from making mistakes and bad decisions; in short, a flowery bed of ease on which they would be carried happily to heaven – and these great expectations were in due course refuted by events. Hurt and angry, feeling themselves victims of a confidence trick, they now accuse the evangelicalism they knew of having failed and fooled them, and resentfully give it up; it is a mercy if they do not therewith similarly accuse and abandon God himself. Modern evangelicalism has much to answer for in the number of casualties of this sort that it has caused in recent years by its naiveté of mind and unrealism of expectation. But here again the soberer, profounder, wiser evangelicalism of the Puritan giants can fulfill a corrective and therapeutic function in our midst, if only we will listen to its message. What have the Puritans to say to us that might serve to heal the disaffected casualties of modern evangelical goofiness? Anyone who reads the writings of the Puritan authors will find in them much that helps in this way. Puritan authors regularly tell us, first, of the ‘mystery’ of God: that our God is too small, that the real God cannot be put without remainder into a man-made conceptual box so as to be fully understood; and that he was, is, and always will be bewilderingly inscrutable in his dealing with those who trust and love him, so that ‘losses and crosses’, that is, bafflement and disappointment in relation to particular hopes one has entertained, must be accepted as a recurring element in one’s life of fellowship with him. Then they tell us, second, of the ‘love’ of God: that it is a love that redeems, converts, sanctifies, and ultimately glorifies sinners, and that Calvary was the one place in human history where it was fully and unambiguously revealed, and that in relation to our own situation we may know for certain that nothing can separate us from that love (Rom.8:38f), although no situation in this world will ever be free from flies in the ointment and thorns in the bed. Developing the theme of divine love the Puritans tell us, third, of the ‘salvation’ of God: that the Christ who put away our sins and brought us God’s pardon is leading us through this world to a glory for which we are even now being prepared by the instilling of desire for it and capacity to enjoy it, and that holiness here, in the form of consecrated service and loving obedience through thick and thin, is the high road to happiness hereafter. Following this they tell us, fourth, about ‘spiritual conflict,’ the many ways in which the world, the flesh and the devil seek to lay us low; fifth, about the ‘protection’ of God, whereby he overrules and sanctifies the conflict, often allowing one evil to touch our lives in order thereby to shield us from greater evils; and, sixth, about the ‘glory’ of God, which it becomes our privilege to further by our celebrating of his grace, by our proving of his power under perplexity and pressure, by totally resigning ourselves to his good pleasure, and by making him our joy and delight at all times. I think the answer to the question, why do we need the Puritans, is now pretty clear, and I conclude my argument at this point. I, who owe more to the Puritans than to any other theologians I have ever read, and who know that I need them still, have been trying to persuade you that perhaps you need them too. To succeed in this would, I confess, make me overjoyed, and that chiefly for your sake, and the Lord’s. But there, too, is something that I must leave in God’s hands. 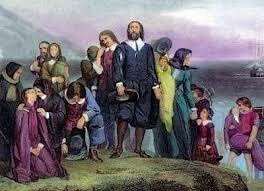 Meantime, let us continue to explore the Puritan heritage together. There is more gold to be mined here than I have mentioned yet. 1 Pilgrim’s Progress (published in 1678) is an allegory by the Puritan preacher John Bunyan (1628-1688). It is a classic description of a believer’s (Christian) journey from the City of Destruction to the Celestial City.